Famed aerobatic and air race pilot Kirby Chambliss is so excited about the upcoming Red Bull Air Race at the Indianapolis Motor Speedway that he flipped at the chance to compete against IndyCar driver Alexander Rossi. This newest stunt rivals Kirby’s antics when he landed on the Strip in Las Vegas before a race last year. Both Chambliss and Rossi have seen their share of victory and Rossi no less won the Indianapolis 500 in 2016 on the very same track. 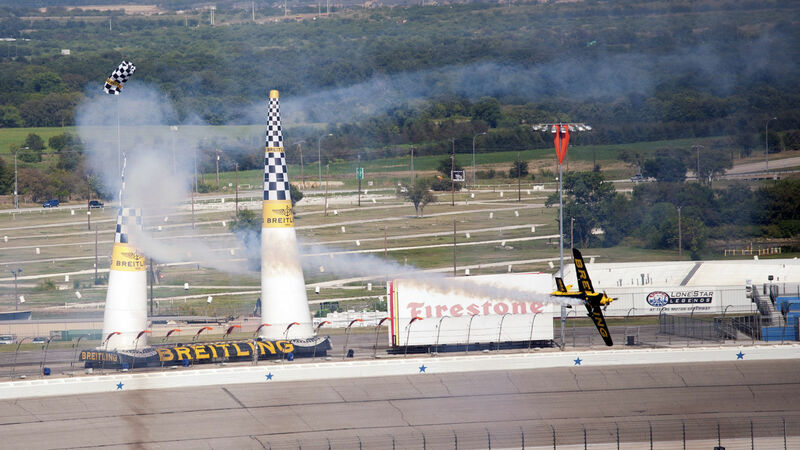 Chambliss has twice stood on top the Red Bull Air Race podium crowned champion in 2004 and 2006. His performance at the upcoming penultimate round in Indianapolis followed by the series finale in Las Vegas could once again move Kirby to a podium finish. After the pair had it out on the tracked they were each treated with a chance to experience the other’s racing forte. Chambliss had the opportunity to lap the 2.5 mile track in a custom two-seat IndyCar still capable of speeds up to 180 mph. In turn Rossi was loaded into a two-person stunt plane with Chambliss at the controls and had the rare opportunity to feel what ten times the force of gravity does to your body all while spinning upside-down. 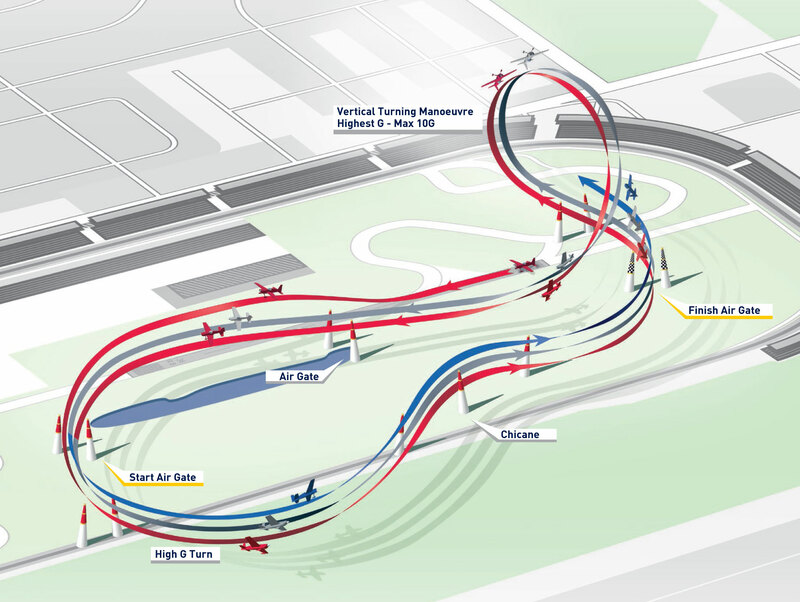 Red Bull puts a spin on the traditional air race by complicating the racetrack and requiring aerobatic pilots to perform multiple turns to navigate a series of gates marked by those inflatable pylons. It a pilot hits a pylon, he or she gets a time penalty. 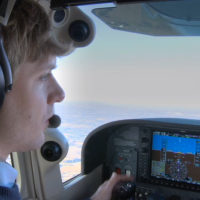 If the plane exceeds 10 g’s, it’s a disqualification. Only a single aircraft is on the course at any time, and the winner is based on best time to complete two laps. Over the coming weekend of October 1-2 a total of 22 pilots will compete in the skies above Indiana on a custom designed 1.8 mile course around the Indianapolis Motor Speedway, the racing capital of the world. There’s no reason to miss the action with tickets starting as low as $20.